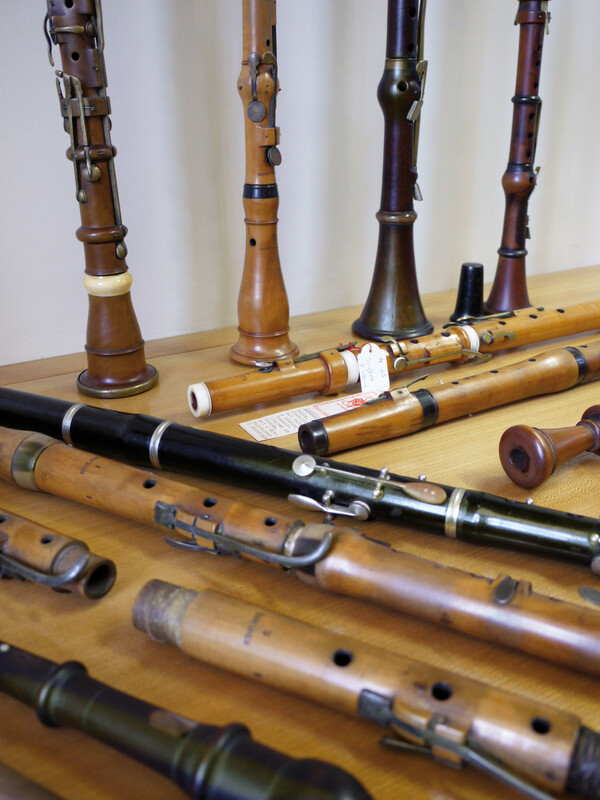 The Musical Instrument Collection contains around 90 instruments, most of which were donated by Reinhold Neupert and Ulrich Rück. The University’s music department was founded in 1922. Neupert – manager of the Nuremberg branch of the harpsichord and piano manufacturer of the same name based in Bamberg – donated 11 instruments to the collection, along with the same number of piano mechanisms for demonstration purposes that help explain the history of how pianos are made. A larger portion of the collection was left to the University by the Nuremberg-based piano salesman Ulrich Rück, who was a keen collector of musical instruments. His impressive collection was temporarily housed at the University after the Second World War. It was transferred to the Germanische Nationalmuseum in Nuremberg in 1962. However, in accordance with Rück’s wishes, 53 instruments remained in Erlangen. After the music departments at the universities in northern Bavaria were combined to created the Institute of Music Research in Würzburg, the collection was moved to its premises in 2009, where it is now part of the collection Studiensammlung Musikinstrumente und Medien. Since then the collection has been expanded with non-European instruments and historical audio recordings. It is used for research and teaching.